The indigenous Māori language name for New Zealand is Aotearoa, commonly translated as "The Land of the Long White Cloud". New Zealand is an island country in the south-western Pacific Ocean comprising two main landmasses (the North Island and the South Island), and numerous smaller islands, most notablyworthy of notice, remarkable, memorable or distinguished Stewart Island/Rakiura and the Chatham Islands. 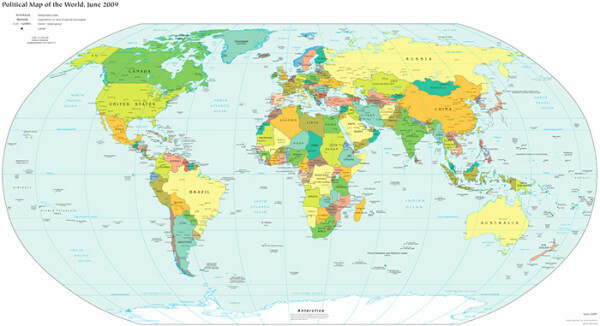 The Realma territory or state, as ruled by a specific power of New Zealand also includes the Cook Islands and Niue, Tokelau and the Ross Dependency (New Zealand's territorial claima demand of ownership made for something in Antarctica). New Zealand is known for its geographic isolation: it is situated about 2,000 kilometres (1,200 mi) southeast of Australia across the Tasman Sea, and its closest neighbours to the north are New Caledonia, Fiji and Tonga. New Zealand's capital city is Wellington with a population of 386,000. It is the third most populoushaving a large population, densely populated city of the country. The urban area of Wellington is situated on the southwestern tip of the country's North Island. The largest city of New Zealand is Auckland with a population approaching 1.4 million residentsa person living at a location or in an area, 31 percent of the country's population. Other large cities of New Zealand are Christchurch and Hamilton. New Zealand is culturally and linguisticallyin terms of language part of Polynesiapart of Oceania including Easter Island, Hawaii, New Zealand, Samoa, Tahiti, and Tonga. Much of contemporarymodern, of the present age New Zealand culture derives from British roots. It is made up of significanthaving a noticeable or major effect, notable influences from American, Australian and Māori cultures, along with those of other European and Asian cultures. Large festivals in celebration of Diwali and Chinese New Year are held in several of the larger centres. The world's largest Polynesian festival, Pasifika, is an annual event in Auckland. New Zealand has a population of about 4.3 million, of which approximately 78% identify with European ethnic groups. Most European New Zealanders are of British and Irish ancestrylineage, or those who compose the line of natural descent, although there has been significant Dutch, Dalmatian, Italian, and German immigration together with indirect European immigration through Australia, North America, South America and South Africa. Indigenousnative to a land or region Māori people are the largest non-European ethnic group, accounting for 14.6% of the population in the 2006 Census. Until 1987, English was New Zealand's only official language, and remains predominantthe most common or widespread; prevalent in most settings. Māori became an official language in 1987 and New Zealand Sign Language in 2006. The two official spoken languages, English and Māori, are also the most widely used; English is spoken by 98% of the population and Māori by 4.1%. Samoan is the most widely spoken non-official language (2.3%), followed by French, Hindi, Yue and Northern Chinese. According to the 2006 census, Christianity is the predominant religion in New Zealand, held by 55.6% of the population. Another 34.7% indicated that they had no religion, and around 4% affiliatedto associate with; to become a member of a group with other religions. There are also significant numbers who identify themselves with Pentecostal and Baptist churches and with the LDS (Mormon) church. According to census figures, other significant minority religions include Hinduism, Buddhism, and Islam. New Zealand is a constitutional monarchya monarchy in which the monarch's power is limited by a written constitution with a parliamentary democracyrule by the people, especially as a form of government; either directly or through elected representatives. Queen Elizabeth II is the head of state. She is represented by the Governor-General, whom she appointsto assign or designate by authority on the exclusive advice of the Prime Minister. The current Governor-General is Anand Satyanand. He chairs the Executive Council, which is a formal committeea group of persons convened for the accomplishment of some specific purpose consisting of all ministers of the Crown. Members of the Executive Council are required to be Members of Parliament. The New Zealand Parliament comprises one chamber, the House of Representatives, which usually seats 120 members. New Zealand's judiciarythe branch of government which is responsible for maintaining the courts of law and for the administration of justice includes the Supreme Court of New Zealand, the Court of Appeal, the High Court and subordinatesubmissive to or controlled by authority courts. New Zealand has a modern, prosperouswell off, characterised by success, developed economy. The country has a relatively high standard of living with an estimated GDPGross Domestic Product per capita of US$ 31,067 in 2010, comparable to that of Southern Europe. Taxationa particular system of money paid by people to the government for public purposes in New Zealand is lighter than in other OECDThe Organisation for Economic Co-operation and Development countries. The service sector is the largest sector in the economy, followed by manufacturing and construction and the farming/raw materials extractionthe act of drawing out something. A high export makes New Zealand particularly vulnerable to international commodityraw materials, agricultural and other primary products as objects of large-scale trading in specialised exchanges prices and global economic slowdowns. Its principal export industries are agriculture, horticulturethe art or science of cultivating gardens, fishing and forestrythe art and practice of planting and growing trees in forests. New Zealanders have a high level of life satisfaction as measured by international surveys.